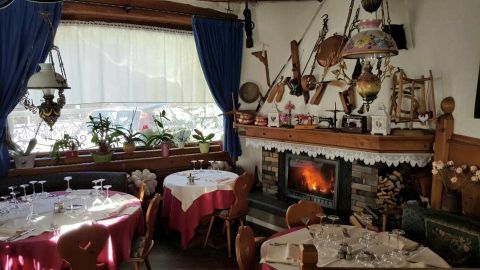 The Trattoria Ninetta is located along the road that leads into the valley of Zoldo from Longarone. Ideal place to stop after a day on skis or a hike in the mountains. Because a lot of people do just that. 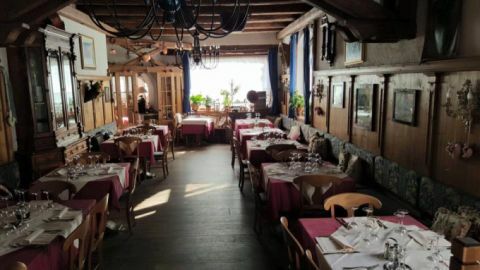 It is a trattoria of ancient tradition. The environment is that of grandma's house, warm, welcoming and relaxing. Impossible not to be immediately at ease. Here for five generations now they are offered refreshment, cordiality and dishes with strong flavors but surprisingly light. It is precisely the dishes that take their characteristics from the ancient tradition, from the seemingly poor mountain land but full of sensations and aromas. Among the first stand out the ricotta dumplings, pumpkin and spinach gnocchi, pasta and beans, but then comes the second. Here the flavors make a further leap forward and the smells more determined. It's time to taste the game, like the deer for example. You can taste the grilled meat, or order the kid, or the lamb, and still the overcooked. All courses rich in flavor, color and aroma, sensations that we might have forgotten.